My birthday is this week and I've got cake on my mind! Normally during the year, cake doesn't occur in my life too often. I'm not the biggest cupcake fan (give me a donut instead!) and the shindigs I go to seem to be more about cocktails than cake, but once my birthday week rolls around, it's all I can think about. 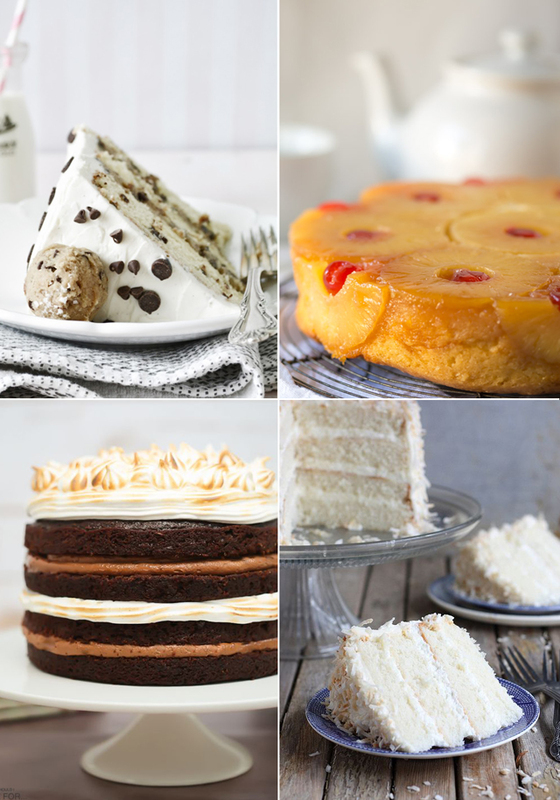 For the past month or so, I've been fawning over cake recipes on Pinterest, trying to decide what kind of cake this birthday needs. I'm thinking coconut cake, because it's summer, it's light, and I feel like as a whole, it's super underrated! Also, where did pineapple upside down cake go? I feel like it was ALL the rage in the 90s and now it seems extinct. Let's bring it back! What is your favorite flavor of cake?